With over 150 years of combined industry experience, New Specialty Lift Truck can provide an answer to your lift truck needs. We can provide new and used specialty lift trucks for sale, lease or as a rental. Additionally, we provide tire service in our service area or on your site. The list of our services spans beyond standard offerings and includes specialty training for your employees. 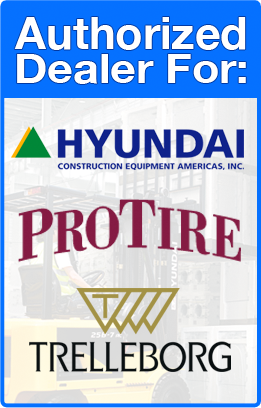 As the only local Hyundai Franchise dealership in central PA, we provide specialty lift truck sales and service for several businesses. We operate off the principle that each business owner should be treated respectfully and that all concerns are properly handled. 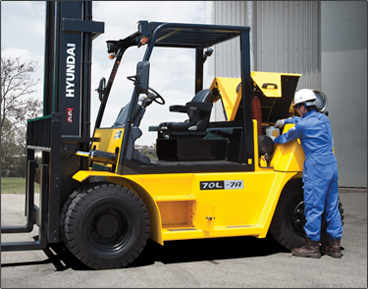 This business philosophy has led to building lasting relationships with several industry leaders throughout central PA.
By selling, leasing and renting Hyundai forklifts and specialty lift trucks, we’re able to provide our customers with the Hyundai warranty, the best warranty within the forklift industry. Though we take it one step further, by offering extensive product support. This basically breaks down to providing our customers the with peace of mind of knowing that should a problem arise, we will be there for them. Through offering top of the line service equipment as a Hyundai Forklift Franchise Dealership, practicing 5 star customer service and providing top quality service technicians, we are able to provide our business customers with a true 5 star promise. When service is needed, our technicians are able to provide the best service from troubleshooting to repairs. Additionally, we are a PRO Industrial Tire and Trelleborg dealer, so we can provide top of the line tire parts and service for the needs of our customers. Give us a chance to earn your business and discover first hand the experience of our 5 star promise.